As an alum of Lyons Township High School (Class of ‘79), I have returned to my alma mater to supervise the students participating on the campus’ radio station. I have lectured at Columbia College Chicago as well as Prairie State University. I was also a teachers assistant at Northern Illinois University. Now, I am returning the education that was given to me as a student. Help that develops talent and skill with hands on experience. Guidance that is better than any words you can read in a text book. LTHS Students participated in radio dating back to 1922 when the school began a wireless club. In the fifties, LT Students were first heard on WTAQ-AM 1300. 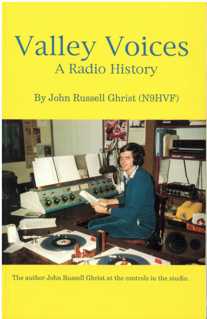 The idea for a terrestrial radio station was developed in the summer of 1966. The first choice of a call sign was turned down, WLTH would have stood for Lyons Township High. The second choice was WLTL, Lyons Township LaGrange or Lyons Township Lions. WLTL hit the airwaves from the third floor of the Vaughn Building with 10 watts in mono on January 5, 1968. The station first broadcasted on 88.3 MHz. A couple of years later, WLTL moved to 88.1 MHz so another high school station could squeeze on the dial. Milestones include: using WIND/Group W as a news resource; moving the studio to Room 9 at North Campus; increasing power to 180 watts; and broadcasting in stereo. My memories, as a supervisor, include the introduction of a workstation using the Arrakis Systems broadcast software "Digilink". This DOS software was used at the station I worked at, WJJG-AM 1530. WLTL used a Windows version to air promos, PSAs, liners, etc. Another memory was Radio ECHO, a project of the Ronald McDonald Children's Hospital at Loyola with WLTL. Yet another milestone was in the summer of 2004, when Ms. Kate Singletary asked me to kick off programming WLTL around the clock 24-7. That summer of 2004, WLTL presented an oldies format of 50s, 60s and 70s. The "flex clock" included ID, image liners, breaks and more. When the students returned in the fall 2004, they continued using the radio automation software MegaSeg. From the Lyons Township High School newspaper "The Lion"
From “Oldies Plus” on WTAQ-AM 1300 to “Q-Country” WCCQ-FM 98.3 and “Continuous Soft Hits” WFYR-FM 103.5, I brought my Forgotten 45s to 1530 WJJG. This suburban station was owned by “The Baron of Barrington” Joe Gentile (Family). “Your Hometown Station” was a local neighbor providing entertainment as well as information. “The Forgotten 45s” on 1530 WJJG were popular songs from the golden age of top-40 radio that was heard on the weekends 1995-2012. “The Forgotten 45s” shared memories of yesteryear and the music of our generation. On September 19, 2012, WJJG-AM 1530 became AM 1530 WCKG The Voice Of DuPage County. Under the management of Bob Channick (CHB Venture), Q-Country 98.3 WCCQ was once the spot on the dial to listen to the “Q-Country Cavalcade” request show on Saturday afternoons with the “Cosmic Cowboy” Jim Felbinger. It was like magic, one Saturday afternoon I prepared for the over night programming while the Cosmic Cowboy was on-the-air. He needed some help as he spoke in the mic. He referred to me as “Engineer Mike” which started a long relationship on-air as well as off. From 1985 through the end of the decade, the "Q-Crew" appeared at several country and bluegrass events around the Joliet area in Illinois. 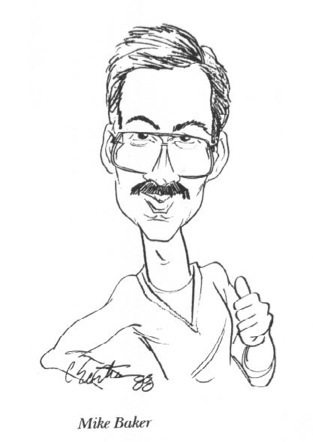 The WCCQ Q-Country music survey was the idea of Program Director Bob Zak. Later, I continued the Q-Survey printed by Sir Speedy Printing in Joliet, IL. 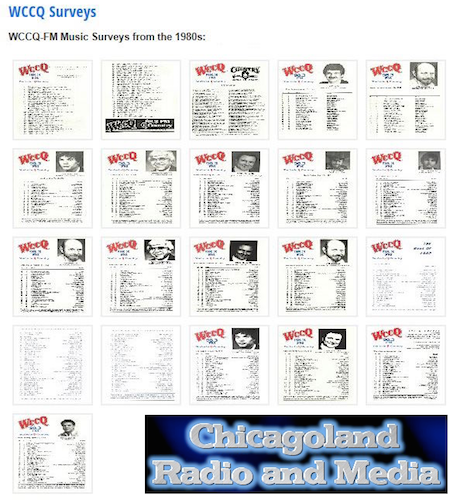 Chicagoland Radio And Media has a page dedicated to the Q-Survey 98.3 WCCQ, "You're In Q-Country"
Later, the "Q-Crew" hosted the “Q-Country Bluegrass Connection” on Sunday nights featuring Bluegrass music and events. 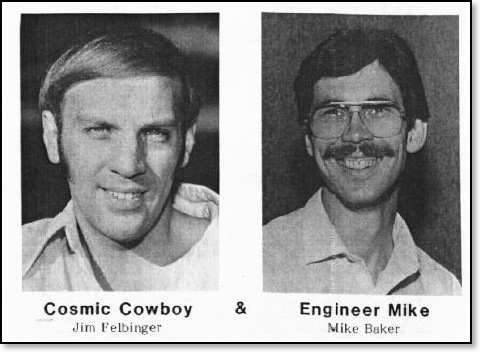 You may find out more about the Q-Crew, Jim Felbinger and Mike Baker, the Cosmic Cowboy and Engineer Mike in “Valley Voices: A Radio History” by John Russell Ghrist. My interest for the “golden age of top-40” made its debut at NIU, Northern Illinois University. While volunteering for Classical WNIU-FM 89.5, I wanted to host “Rock And Roll Revival” Saturday nights on Rock Cable 93 WKDI. First, WNIU has a division (SCA, subsidiary communication authorization) NIRIS - The Northern Illinois Radio Information Service. NIRIS provides on-air reading programming to the print handicapped. This includes reading the daily paper, stories, recipes and much more. I was a student volunteer, programming automation and producing shows for NIRIS. For this, I received a certificate, a pin and other awards. 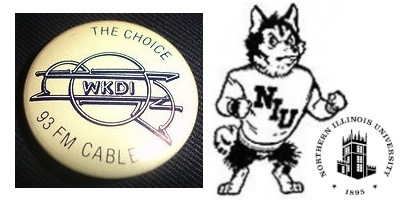 Second, WKDI provided an album oriented rock format to the NIU community. Shortly after producing Huskie football broadcasts, I hosted an oldies show named Rock And Roll Revival. Eager to share more memories, I searched for a larger collection and focused on the Chicago sounds. My dorm room became crowded with vintage vinyl that I would carry back and forth to the station. Oh yes, besides cart machines, turntables were used to play the music.